Most people in the world will never live in a city like London or New York – so they set their sights on Dubai, says global strategist Parag Khanna. "Dubai represents the ambitions of 4 to 5 billion people in the developing world, from Luanda to Baku, Sao Paulo to Mumbai," he says. "The majority of mankind will never live in a city like London, but they look at Dubai and see what can be achieved in a generation." 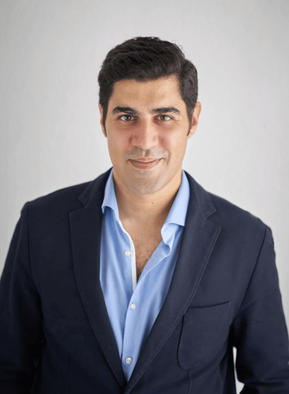 Mr Khanna, the author of a trilogy of books on the future of world order – the latest of which is Connectography: Mapping the Future of Global Civilisation – will be sharing his thoughts on megacities and connectivity at the Emirates airline Festival of Literature, which runs from March 8 to 10. 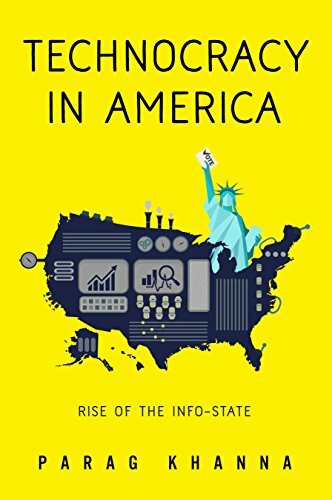 His insights will be timely as he was a "Washington think tank guy" for years, having advised the US National Intelligence Council and the US Special Operations Forces. He is now a senior research fellow at the Lee Kuan Yew School of Public Policy, at the National University of Singapore, and is also managing partner of the geo-strategy advisory firm Hybrid Reality, and the head of a content branding agency. Mr Khanna says his time in Washington DC made him realise how "limiting it was as a perspective on the world". Geography, he says, shapes culture, not vice versa. "The US is so far removed geographically from the rest of the world: it is the safest continent and incredibly wealthy," he says. "It suffers from cultural isolationism and even ignorance about the rest of the world." President Trump, he says, would do well to remember that US companies like Walmart and Apple generate more revenue from exports than at home before he starts any trade wars – and that it’s a bad idea to scare off foreign investment. Indian-born Mr Khanna has lived in Singapore for the past four years with his wife and two "little nomad" children – with a sabbatical in Berlin due next year. Having also resided in the UAE, US, Germany, Switzerland and the UK, he prefers not to give his passport nationality these days. "I think of myself as a New Yorker, a Londoner, a Berliner," says Mr Khanna, who lived in the emirates of Abu Dhabi, Dubai and Sharjah until he was seven. "Home for me is not a country; home for me is these cities, which add up to the country of me, what I call ‘Paragistan’. "My books are written so you wouldn’t know my nationality; I want people to ignore it when they are reading them. With citizen schemes based on investment, we no longer know much based on a passport." Like New York, Mr Khanna says Dubai is not a capital but is significant as a global city, in terms of the flow of passengers, money, goods, data and shipments. Its geography has not changed, he says, but its connectivity has. But as a country, the UAE has started to balance its economic model, he thinks, becoming a "cities state". "It’s not all Dubai. It’s growing together into the federation it nominally has been for 40 years." "Dubai," he warns, "is a hare that needs to be more like a tortoise." While it deals quickly with its "growing pains", he says its advances can go in "fits and starts". It also needs to focus on key areas such as sustainability, sanitation, health care, water pricing and higher education as it works towards its ambition of becoming the world’s smartest city by 2020. Building a smart city really is a race to do everything at once, he believes, rather than an orderly list you can work through. "Prioritisation is the enemy of holistic thinking. It will become a smart city by making sure the pieces of the puzzle fit together." While in "total sympathy" with Emiratisation ("this is the most diluted society in the history of the world"), Mr Khanna also says Dubai has to be "less transactional" about its expats, particularly the "less productive old people". "Why not build more retirement colonies, so they spend their savings to live there and build a service economy around them? That way they are not dead weight but an asset." Singapore, he says, represents "a lot of what Dubai aspires to be". "The difference is," he says, "that Singapore is already there, has done it and achieved it. It feels like you’re living in the future." Although he doesn’t know where he might retire – "I plan on chasing the kids around the world" – Singapore is, he says, the only country where he has been persuaded to buy assets. He now owns a home, and even cutlery and teacups, for the first time. Is America ‘fated to lead’?